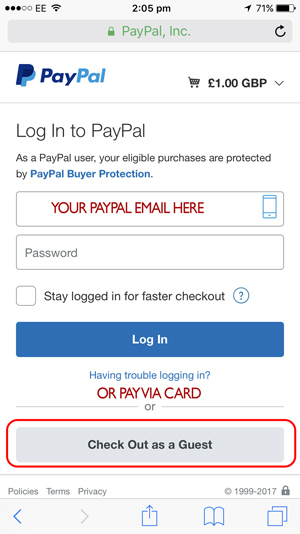 Once you have entered your details on the left, you will be take to this PayPal page. You will need to enter the amount you wish to pay. 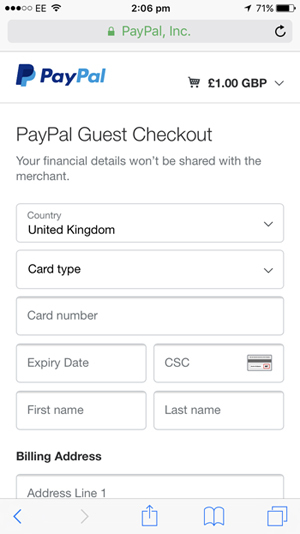 You can then either Login to your PayPal account or select Check Out as a Guest to pay with a Credit or Debit Card. 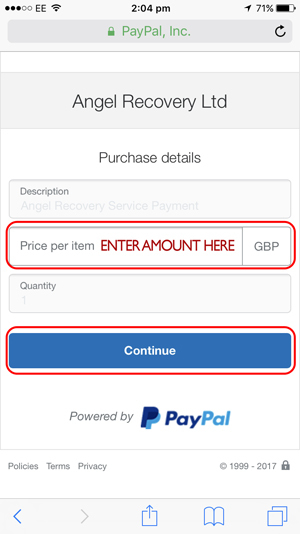 If you opt to pay via debit or credit card you will need to enter your details on the next page and then click Pay.